Guaranteed delivery within 12 Hours. Exchange offers amount will be paid at the time of delivery. 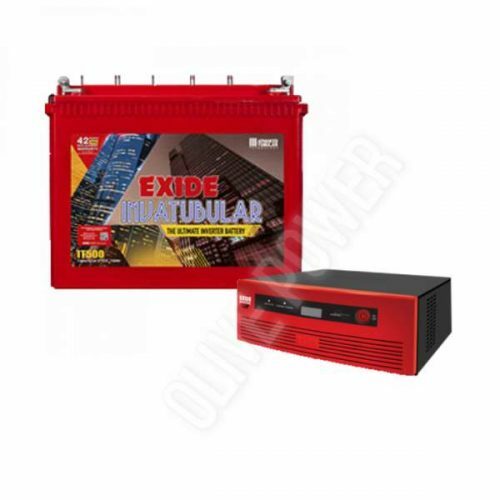 The Pure Sine Wave inverter is a top of the line model which is arguably the most sophisticated in the market today. The feature-loaded smart product is notable for its 3 stage Auto Sense Intelligent Control Charging with Auto Smart Protection and dual (LCD & LED) display. In hardware terms it is also one of the few with a copper transformer that saves power. 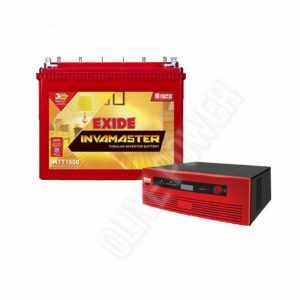 The inverter provides steady grid quality power that is essential to safeguard your prized electronic gadgets. Mains Overload through Resettable Switch. 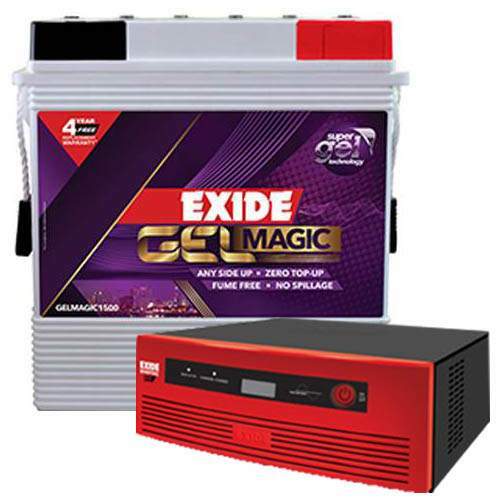 Enjoy Ideal power backup solutions with Exide Batteries for Home. 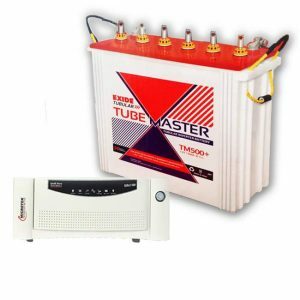 Exide Tube Master tubular batteries designed for Home ups and inverter application ensure availability of uninterrupted and regulated power during mains failure or dip in voltage. 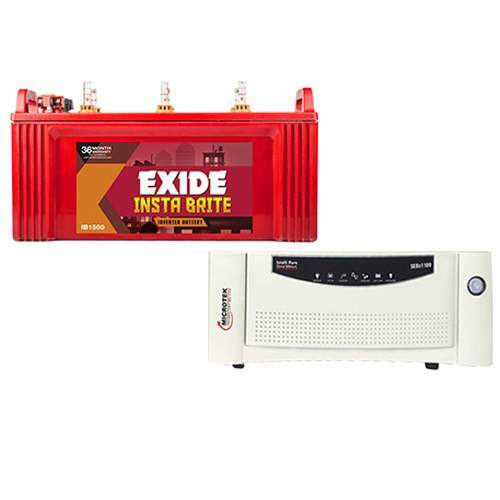 Exide range of tubular batteries are customized exclusively for Home UPS and inverter applications. 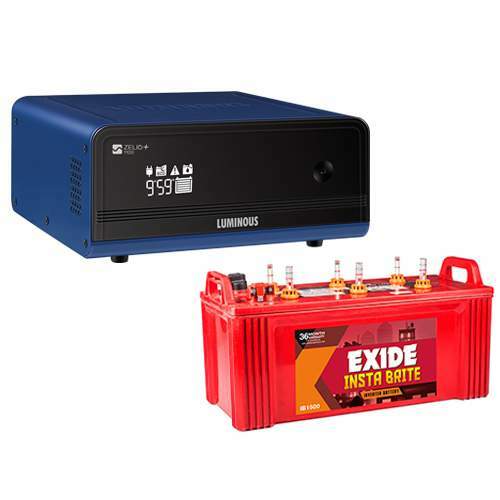 Life Cycle – Promise of 1200 cycles of deep discharge. Tubular Extra thick gauntlets, suitable for Indian climatic conditions ensures longer life. Special tubular positive spines cast at 100 bar pressure to enhance corrosion life under extreme situations. 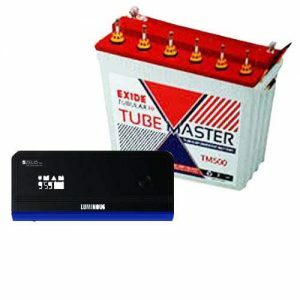 Thick spines and bus bar for excellent discharge performance which provides better life. Extra top electrolyte for less frequent water topping. Environment Friendly – Micro porous ceramic vent plug ensures minimum acid fumes. Float guide indicators to show electrolyte level in the battery. 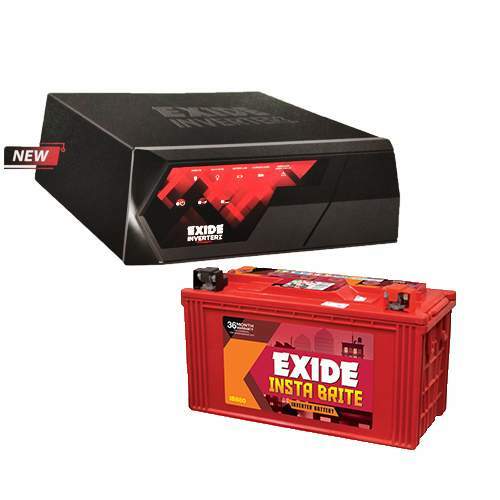 Low Maintenance – Special alloy to reduce electrolyte loss. 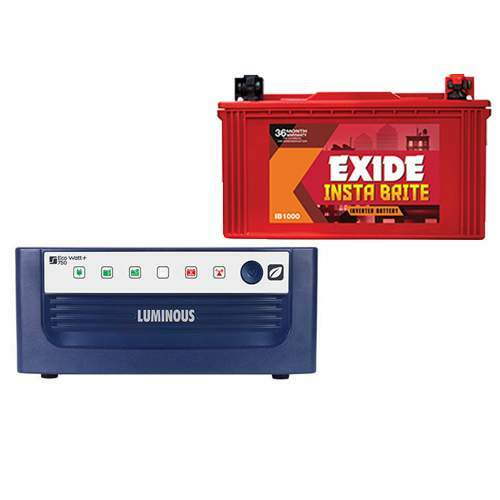 Batteries specially designed for places with frequent power cuts. 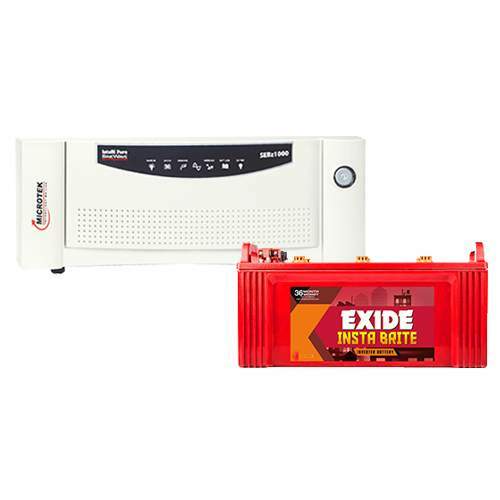 Readily available factory changed batteries reduces commissioning time. Aesthetically designed- Low foot print to suit homes, offices and business center. Copyright © 2017 Olive Power – All Rights Reserved.